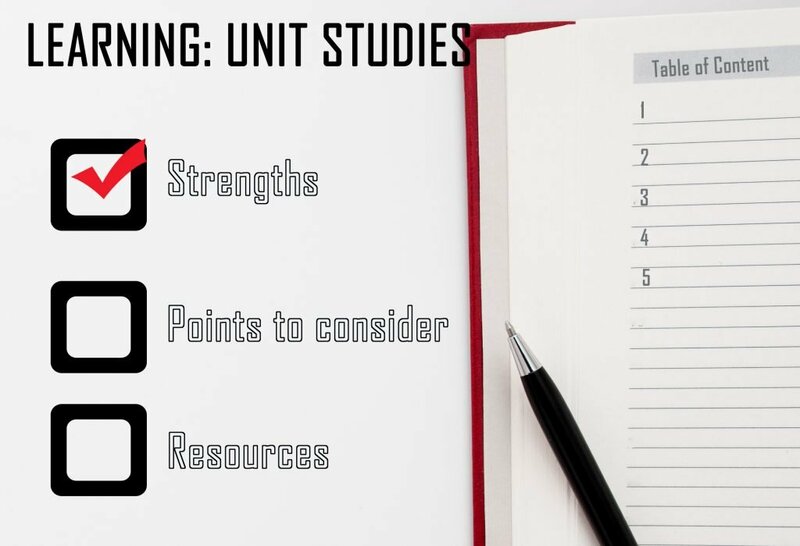 It’s time to take a look at another interesting home education method: Unit Studies. This one is unique because it incorporates a theme into a unit of study. From core subjects to personal interests, nothing is off limits with this comprehensive method. Many parents are using unit studies to help organize their family’s homeschool studies. Whether it’s for language arts, history, geography and/or science, this method can even be combined with other methods. Unit studies can be created by parents or purchased as part of a program or curriculum. This method is particularly ideal for parents who are looking to build on their children’s interest in a particular subject area or topic. This is a great opportunity to cultivate a child’s genuine curiosity and truly pique their interest for the ultimate teachable moment. This method enables the child to move beyond simply learning facts by digging deeper into the subject matter. In addition to developing critical thinking skills, parents are still able to ensure their children are still progressing well in all aspects. One subject matter can automatically lead to building on core skills, such as reading, writing and math. Families with multiple children are able to use unit studies regardless of the various ages of the children. There are many unit studies that include age specific levels within any given unit study. This could also help parents with children with a variety of learning styles and abilities. Although there is room for customization, like most methods parents should still consider a healthy balance for their homeschool. It’s always encouraging to see children fully engaged and excited about learning; but, special interests can easily take precedent over other areas of focus. Parents are encouraged to be very intentional about creating a healthy academic balance based on each child’s needs. April H. is a homeschool mother of 6 children and has successfully used the Unit Studies method with her family. April started homeschooling 11 years ago when her oldest was in kindergarten. Today her children are 15, 13, 11, 9, 7, and 2 years old. Needless to say having a home education method that’s conducive to each child is essential for April’s family. Originally they started out with a literature based curriculum, but eventually April says they ended up doing a little bit of everything, “we were trying to see what suits our family best, but by the end of the year we were doing lap books.” April and her children enjoyed the flexibility of creating unique summaries of their learning and decided to continue doing what they love. Even with the flexibility of this method, April appreciates the option of choosing prepared unit study programs or creating her own. And, with the wide age range of her children she is able to adapt the studies according to their individual levels. Currently April’s oldest daughter is in high school and completing online courses. Although the other children are working through the unit study method, there are some subjects that are completed in a different manner. “The core subjects are done through unit studies but, it’s easy to add in little things like online typing programs” said April. For busy homeschooling parents just starting out, April does not recommend creating your own program right away. She says this method can be very economical since there are numerous free online resources to get your family started. Many of the studies are easy to follow and also scripted if you need it. April also suggests trying out this method before doing a complete switch, “you can jump in any time of the year for a few weeks as an easy approach to unit studies” April said. This is also a great way to avoid “curriculum remorse”! With so many free options there’s no need to spend a lot and regret it later. There are many ways to enrich our children’s education at home. Like any method it’s always important to take the time to learn more about your children’s learning style and your own. To learn more about Unit Studies and other home education methods, visit the CCHE Home Education Methods page.